At its Build developer conference, Microsoft today announced that Live Share, its previously announced collaborative development feature for Visual Studio and Visual Studio code, is now available to developers who want to give it a try. Until now, this feature, which allows developers to better work together, was only available in a private preview — and it’s available for free to all developers, even those who use the free Visual Studio code editor. In a way, Live Share is a bit like using Google Docs for collaboration. Developers can see where everybody’s cursor is and when their colleagues are typing, no matter which platform they are on. All developers in a Live Share session can stay within their preferred (and customized) environment. That gives developers quite a bit more flexibility compared to a traditional screen share. One feature Microsoft heavily emphasized at Build is the ability to share debugging sessions, too. That means everybody can set break points and get the full logs. 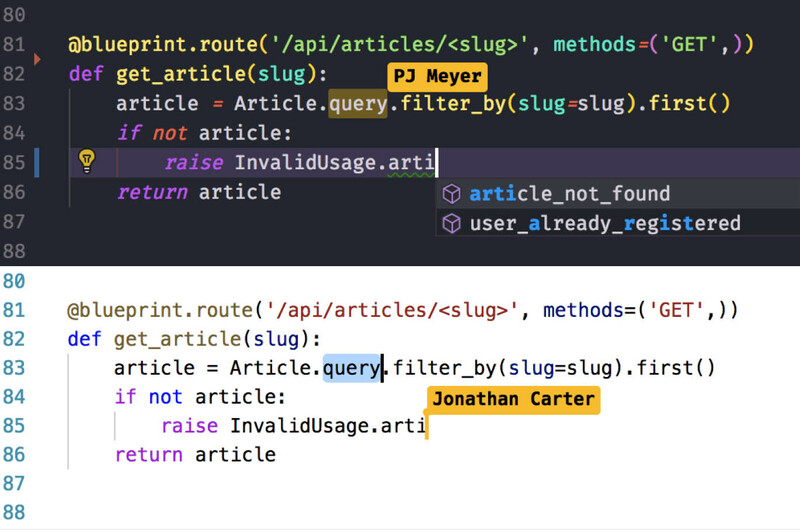 While writing code is one thing, being able to share debugging sessions may actually be even more important to many developers.